They say that St. Nicholas was a priest born in Mira (Turkey) who dedicated his life to helping the needy, especially the children. They say that he performed miracles, his prayers saved some children who were stabbed and some sailors who were lost in a storm, so he was considered as a saint. The tradition of giving gifts comes from a story of three girls who could not marry them because their father did not have dowry, St. Nicholas went through the window and filled three socks that were drying by the fireplace with gold. The night of December 24 is the winter solstice, when the nights lengthen and the hours of light diminish. That night the families gathered to be together and gifts were given to the children. The most beautiful thing about this tradition is being able to meet and be able to make gestures of love through gifts to the people closest to you. Because it does not need to be a child to feel the illusion of doing and receiving a gift. In many homes candles are always lit as part of the tradition to give light during that night. That is why we want to suggest as a special gift to give a scented candle, which will not only be a memory of that night but will remain for a long time more illuminating and filling your home with beautiful aromas. 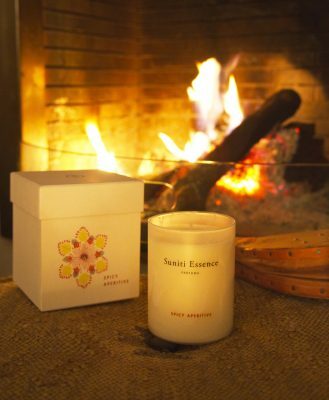 In this post of La macedonia de Mariola suggests original gifts, among them our candles. In The Luxonomist we are also named as a perfume to give away at Christmas. You can find them in our points of sale and online at www.elparacaidista.com. Meanwhile we wish you a beautiful day to all of you.